Winners – Mixed Bayside Section 5 – Well Done! 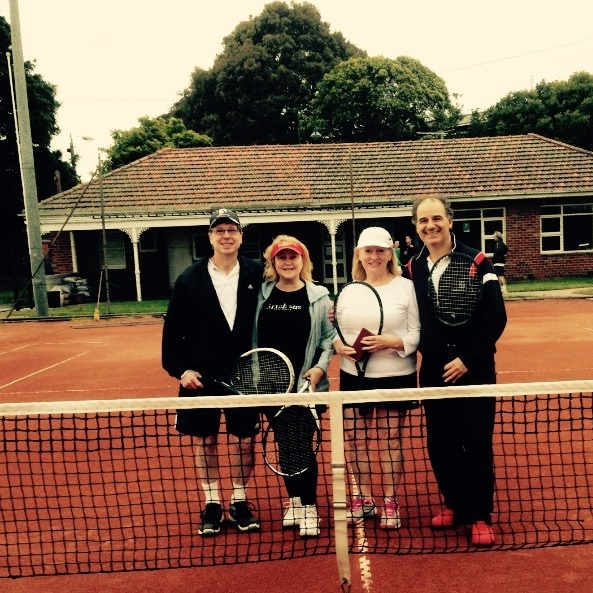 Congratulations to Bernie Daly, Elena Daly, Judy Harrison and Stephen Trafficante who on the weekend, defeated Ormond Tennis Club in the Mixed Bayside Section 5 Grand Final to take the title. It has been a great season for the team, finishing on top and automatically getting a spot in the Grand Final. They had comfortable 3 rubbers to 0, 51 games to 30 win. This is their 3rd season together and we wish them all the best in the summer season.